Question 1: From Cameron: I’m thinking of making a bench inspired by Mark Edmundson’s “Modern Danish Cord Bench” from issue #194-Nov/Dec 2007. I’m want to stretch the width to 6’ to use at my 7’ table. Will the front and rear rails be enough to support 4 well fed adults or will I have a hilarious story to tell for the next 30 year about the thanksgiving collapse of 2019? Question 2: From Mark: I saw a video where Matt Wajda drew a tool chest, full scale by hand. Is this a common method? I draw Architecture for a living, I am tired of drawing. I’m not interested in SketchUp, I already spend way too much time with AutoCAD. Woodworking is my release. I completely understand that you can work issues out on paper long before you even touch a board. I am curious about designing without drawing. Does anyone you know use a design process that does not involve drawing? Question 3: From Andy: Any idea how to go about achieving the finish in the attached image? I’ve never seen a finish like this one that’s pretty vibrant, yet maintains the appearance of the grain. Is it just a watered down paint? Question 4: From Bob: I have some Japanese chisels that I’m starting to use. About 3/16” behind the edge of the blade is a cove. When you grind back to that cove, the back will no longer be flat. Do you have to toss the chisel out at that point? We hear so much talk about Lie Nielsen, Veritas, and Stanley hand planes but, I have a Millers Falls No. 8 that i picked up from an Antique store, that works really well. I don't think I’ve ever heard the Millers Falls Name be mentioned on the Podcast, so I am wondering if they’re any good? They seem to have been in contention with Stanley and they are American made from New England no less, since 1868! I have been wanting to do a project using drawbore mortise and tenon joints. Is it a bad idea to attempt this type of joint in a softer woods like cherry or walnut, rather than oak. 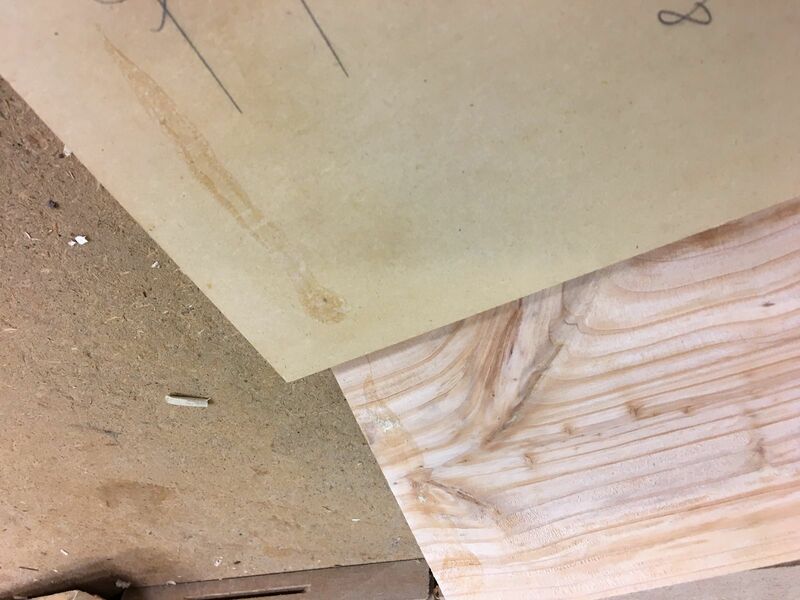 From Bob: Can someone explain the difference between a scrub plane and a smooth plane? They seem similar in size and construction. I am looking to build a dining room table to a friend of mine, and am wondering what type of wood would be best to use. I have narrowed it down to White Oak, Cherry, and Walnut. The friend that I am making this for is a military man, and so gets stationed at different bases around the country every few years. My main concern is the table warping or splitting due to the drastic location and environmental changes that he will come across. Obviously, being a dining room table it also must be sturdy and not be too prone to scratches, dings, etc. White Oak is very wear resistant, but has a medium-high shrinkage value. Cherry is pretty stable once dried, but is softer and may get more dings. Walnut seems to be the middle road, being harder and less susceptible to scratches than Cherry but less likely to shrink/warp than White Oak. What type of wood would you suggest that is going to be resistant to scratches and dings, yet won't warp or split in drastic climate changes? Ben - Chris Thile's Thank You, New York"
Question 1: From Matt: I have 3 questions about getting into kumiko: 1.) What (Japanese) chisel would you recommend starting with? 2.) What online/printed resources would you recommend? Question 3: From Al: I am having some trouble laying out the pins and tales on the Wenge in the more traditional way, unlike what Mike shows. Wenge is extremely hard and not at all forgiving and the grain tends to be a problem in scribing the wood. Perhaps this is why he choose to do this with the table saw and router methods. Where can you get the table saw blade and the router bit to do it like Mike. After face jointing with the sled and then planing the stock to thickness, the plan is to a rip a straight edge on my table using the jig and then ripping to width using the fence. 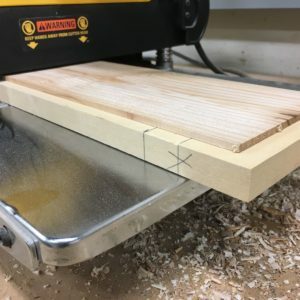 Do you know of a better way to mill to four square without a jointer? 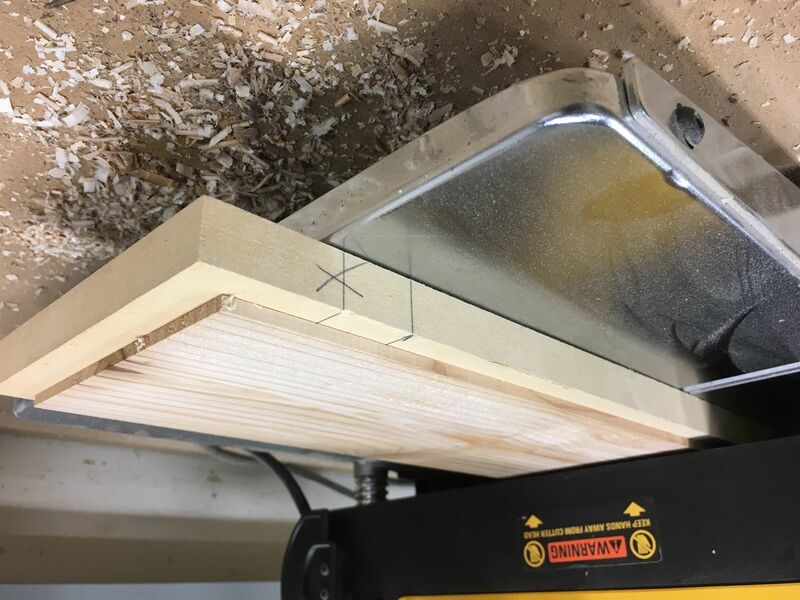 From Granary: What are your thoughts on resawing at the tablesaw? I'm terrified of it, but was recently and reluctantly exposed to it as a method for expediting the process at the shop. But, as an intermediate woodworker, I can only see downsides to resawing at the tablesaw. While taking a class, after resawing a few times at the tablesaw, I had to request that I not do it. I felt like a total wuss, but at the same time, when I was holding the stock, and the saw was running, I just felt like it was going to go wrong. Ben: Using CA glue to glue a piece to an backer board in order to plane it thinner than 1/4-in. Question 3: Esoteric lumber questions! From Cameron: When breaking down a larger board do you prefer long or wide off cuts? After listening to the pod for years now I’m obsessed with getting the best grain selection but don’t want to waste a whole board to get one piece. As an example, I have a board that is 8-in. wide and 4-ft. long. From that I need piece that is 3-in. By 8-in. The best piece is on the edge of the board, 6-in. from the end. 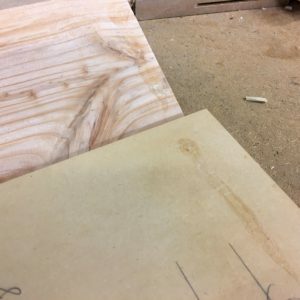 Head over to ShopTalkLive.com and leave a comment on this episode's show-notes page for your chance to win a one-year membership to Fine Woodworking's new UNLIMITED membership! We’ll pick a winner November 9, 2018. From Tom: I am building a credenza that will be 84" long, with solid walnut top and bottom. If the back is made of plywood (1/2" or 3/4"), is it ok to glue the back to the solid top and bottom pieces, or will differential wood movement cause this joint to fail? From Ron: What are your opinions on the various panel clamps available (ie Damstom) and are any worth buying? In most of your videos/articles I see shop made wooden cauls and lots of bar clamps, but I’m looking for a less stressful way since I struggle to keep things flat as I rush to get clamps on before the glue sets up. From Craig: I am going to build Garrett Hack's huntboard from issue #187. One thing I am unsure of is how to attach the drawer runners. The only thing shown in the text and plan is that they are tenoned at the front to the rails, with no mention of the back. They can't be mortised into the back panel like the kickers due to the assembly order, and simply gluing them to the sides would lead to cross grain gluing issues. I've thought of a couple ways I could attach them, one being sitting on cleats attached to the case back, or screwed into the side partitions with elongated holes. Do you guys have any thoughts or know how Garrett secured these pieces? Become a member today and get instant access to all FineWoodworking.com content. Start your free two week trial here. To see the newest issue of Fine Woodworking.